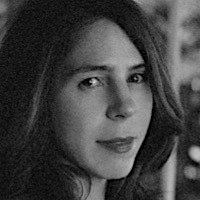 Rachel Kushner is among America’s most exciting writers. Her novels and essays explore contemporary art, culture, revolutionary politics, modernism, and feminism with unmatched wisdom and grace. She has twice been a finalist for the National Book Award and is a Guggenheim Fellow and an honoree of the American Academy of Arts and Letters. Her fiction and essays have appeared in the New Yorker, Harper’s, The Believer and the Paris Review. Rachel’s first novel, Telex from Cuba, intertwines revolution in 1950’s Cuba and visceral human interactions with a revelatory, deft hand. In a starred review, Kirkus Reviews called it “Soundly researched and gorgeously written.” A New York Times bestseller and a finalist for both the National Book Award and the Dayton Literary Peace Prize, it was also a winner of the California Book Award. Rachel’s latest, The Mars Room, is an intense, unforgettable, and heartbreaking story set in a California women’s prison. The novel delivers a necessary critique of the judicial system as well as an attack on the prison-industrial complex; Rachel crafts a holistic depiction of who gets wrapped up in incarceration – families, lawyers, police, and prisoners, written with a skilled voice that is filled with pathos, love, and humanity. The New York Times calls The Mars Room, “A major novel, a sustained performance, one that broods on several exigent ideas.” The book was a finalist for the Booker Prize, the National Book Critics Circle Award, and the Simpson Literary Award, and winner of the Prix Médicis Etranger.